Cells of the diatomCyclotella meneghiniana were exposed in a closed system to 0.245 ppm 1,3,5-trichlorobenzene. Response of the diatom was measured by quantitative ultrastructure and fatty acid percent composition over a 5-day period. During that time, 28 significant morphological and 13 significant fatty acid percent composition changes occurred. Autophagic-like vacuoles were observed consisten9ly through the sampling periods. 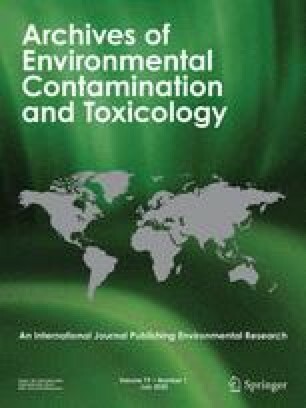 In comparison with exposure to 1,2,4-trichlorobenzene, 1,3,5-trichlorobenzene exerts fewer effects in the parameters studied, and these effects were observed most frequently in membranous components during the initial eight hours of exposure. It is suggested that the amount of cellular lipid and the relative reactivity of the isomer are responsible for the observed effects.